Castle Hill History | . The soils of the Village consist of early Tertiary sediments including siltstone, sandstone, conglomerate, and high country yellow brown earths, overlain in places by deposits of glacial outwash. The two soil types covering the area of the Village are the "Cass" and "Craigeburn" types. These soils would have originally covered the Village at depth of between 300 mm - 600 mm over gravels. This group of soils are friable, porous, low in clay and sandy in texture. These soils were modified during the initial construction of roads and section formation in the Village in the early 1980s. The village is situated within the Upper Waimakariri Basin, an upland area comprising the steep 'hard rock' mountains and hills of the Torlesse & Craigieburn Ranges (80%), outwash fans and terraces (15%), and 'soft rock' limestone hills and features (5%). 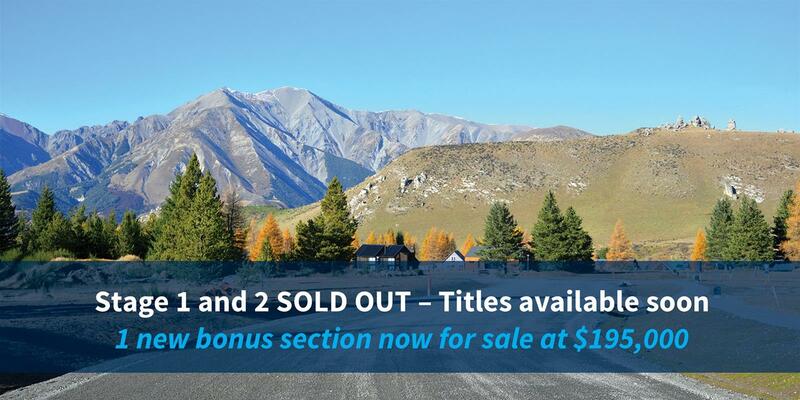 Hayward & Boffa refer to it as perhaps the best documented mountain area in the South Island. * They also note the limestone areas in particular have been a focus of scientific and recreational attention, despite their comprising such a small proportion of the land. Hayward & Boffa's following description of the Basin is an apt statement of the context surrounding Castle Hill Village: "It is a region of steep mountains, sprawling fans, smooth terraces and wide river beds. It is an area of contrasts: of rain forests and impoverished grasslands, of spectacular erosion and green paddocks, of pleasant hillside streams and raging mountain torrents." The Village is close to the limestone formations, reserves, conservation area and Statutory Acknowledgement Area of Castle Hill/Kura Tawhiti. Archaeological, traditional and published records indicate the area was important from the Waitaha to the Ngai Tahu Maori periods. A memorial in Cathedral Square, Christchurch states that Canterbury was occupied from about 850AD until 1505 by the Hawea/Rapuwai/Waitaha confederation, from 1505-1675 by Ngati Mamoe and from 1675-1837 by Ngai Tahu. These dates are likely also to apply to Castle Hill also, with small variations. Histories indicate that in Waitaha times the Castle Hill area was called 'te Kohanga' or 'birthplace of the Gods' and was of astronomical prominence as a key 'observatory' for predicting the coming seasons and weather. In summer a considerable population migrated from the coast and supported this role, tending kumara, the sacred vegetable. The limestone geology also was sacred due to the eons of creatures whose remains had built up the rock since the beginnings of time, and who were seen as ancestors. Prominent leaders were buried here, including Rakaihautu, the ancestor who first explored and occupied the South Island about 850AD. The Ngai Tahu name "Kura Tawhiti" means "the treasure from a distant land", referring to the kumara vegetable which was once cultivated in this region. Kura Tawhiti was one of the mountains claimed by the Ngai Tahu ancestor, Tane Tiki, for his daughter Hine Mihi. Tane Tiki wanted the feathers from the kakapo taken from this area to make a cloak for her. The area was used by Ngai Tahu for mahinga kai. The main food collected was the kiore (Polynesian rat) and others included tuna (eel), kakapo, weka, kiwi, kaka and kereru. Kura Tawhiti was within a network of trails used for seasonal journeys and access to gathering kai whilst camping overnight. Knowledge of these trails is held by whanau and hapu and is regarded as taonga. Expeditions were also undertaken for other purposes, such as Ahikaroa - keeping cooking fires burning on the land; Matauranga - handing down knowledge of practices and methods; Korero purakau - telling the associated traditional stories; Hikoi rohe - passing on familiarity with tribal and hapu trails and boundaries. The ancient rock art remnants found on rock outcrops are particular taonga of Kura Tawhiti. The outcrops provided shelter for Ngai Tahu on their travels and they recorded their beliefs and aspects of their lives here. Not surprisingly, these rock outcrops have tapu status for Ngai Tahu. In 1998 an area at Castle Hill reserves was designated as Topuni under the Ngai Tahu Claims Settlement Act, to ensure that the values Ngai Tahu place on this area are recognised, acknowledged and respected. immediately opposite the entrance to today's village. In 1871 a new accommodation house was built on the site and in 1887 W J Cloudesley added a new two storey building to the hotel. The coal supply for the hotel came from seams close by on Thomas River banks. In 1903 the Castle Hill Hotel had twenty rooms and had become a popular place for visitors wanting a holiday with plenty of scenery and fresh air, huge log fires and Mrs Cloudsley's famous scones... The stone for the hotel came from blocks 2km from the site and assembled by a stonemason named Davies. The hotel was gutted by fire in September 1904, and was never re-established, as the coaches had stopped travelling on the road. "Tree planting throughout the residential area will have a larch/ pine/ beech theme and it is envisaged that a dense forest-like intermix of the three species will be planted throughout the accommodation and reserve area. Houses roads and access ways will be cut out of the base plantings as and when required." "All services shall be reticulated underground for service and storm safety reasons.